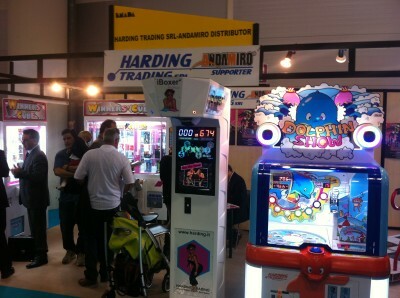 You can try our amusement machine at trade shows all around the world. We attend a number of key annual events in Paris, London, Las Vegas, Rome, Dubai, Rimini, Amsterdam, Athens, Orlando, Munich, Genova and other. Find out what events are we visiting soon and check out info from latests shows. Gamenet 2013 expo is the only show in Greece which hosts everything about the entertainment industry. As usual Kriss-Sport showed their newest coin-op machine. Punch To Win – first boxer machine with prize redemption. 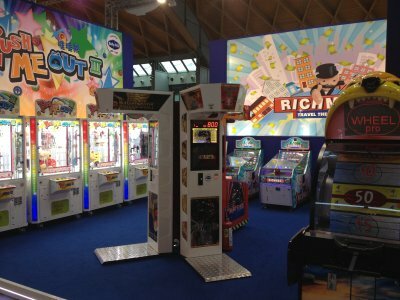 At ENADA 2013 – International Amusement and Gaming Show we presented our machines next to leading exhibitioners from Europe and other parts of the world. 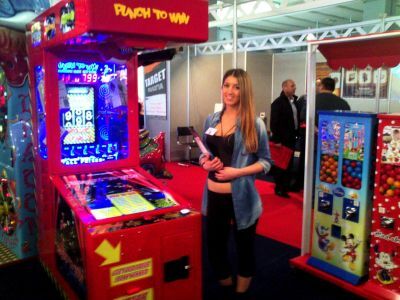 Thank you for visiting our stand and testing our 3 best sellers: Punch To Win (punch game with real prizes), Warrior Boxer (slim and simple strength tester) and Boxer Arcade Game (multiplayer and multigame punch machine). Punch To Win is here! 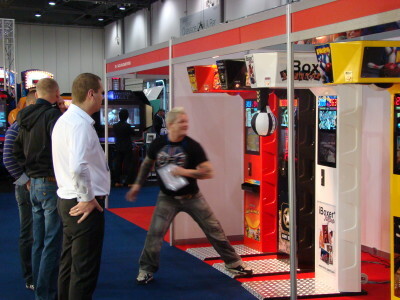 For the first time, at EAG 2013 in London, a boxer game is also a skill with prize machine. Thanks to that we bring brand new game experience and motivation to players. This strength tester will award you with a prize for your accuracy and let you choose one of many prizes that fits in the cabinet. Another ENADA show in 2012 year. This time in Rome, Italy. Thank you for visiting us and testing our pouch games. Thanks to Allure Innovations for showing our machines at DEAL 2012 in Dubai. 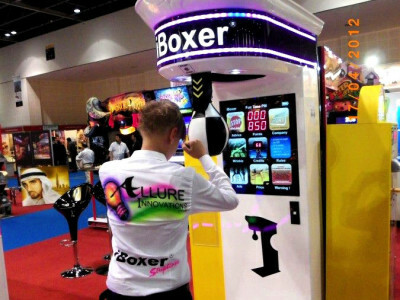 You could check out over there our iBoxer® RGB and some of Video Boxer Machines from Kriss-Sport. 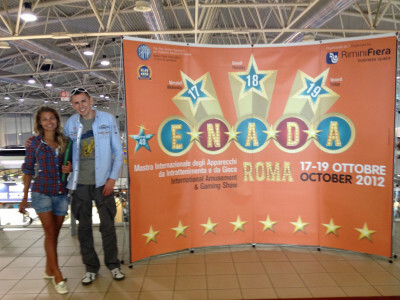 Our slim punch machines visited ENADA 2012 exhibition in Rimini, Italy. Thanks to one of our cooperators from Harding Trading and everyone that visited the show. Sharing stand with Cocolac Games we attended at GAMENET 2012 show in Athens, Greece. 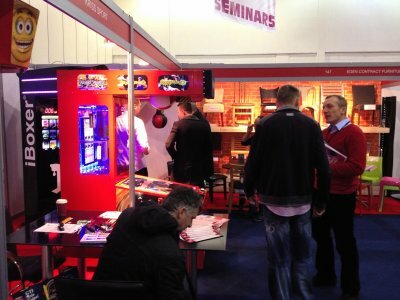 We visited EAG 2012 in London ExCel with full range of our punch machines. 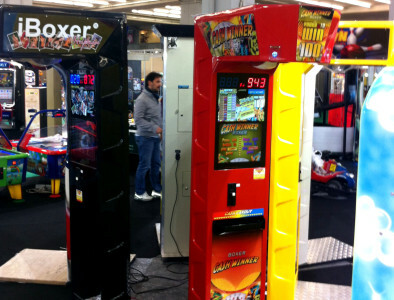 Alongside with iBoxer 2012, Warrior Boxer and our multiplayer video punching games we’ve presented to you two new designs: Cash Winner Boxer and Jackpot Winner Boxer. Thank you for visiting the show and testing our machines. 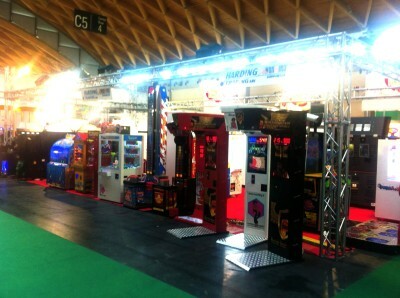 Our iBoxer® Striptease found place for itself next to other amusement machines at ENADA 2011 exhibition in Rome, Italy. London with its EAG 2011 Expo is a sure stop for us every year. 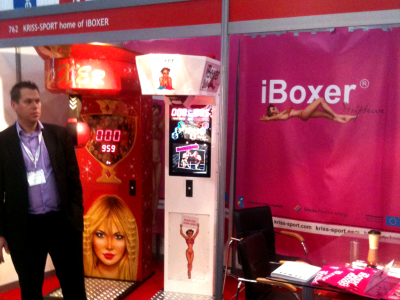 Thank you for checking out iBoxer® Striptease and our other amusement machines!